The latest version is 6.66 build 2136 released 04/01/19. Do you have a valid license for this software? If so, continue to the next step. If you do not have a valid license for this software you will not be permitted to upgrade. If you have only a free trial version, or if you do not have a valid license with a unique license key, click here purchase a license. 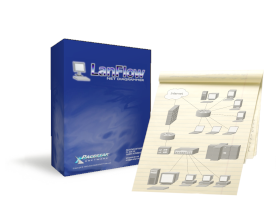 Did you purchase the software from Pacestar Software? If so, continue to the next step. If you have a valid license that you purchased from somewhere other than Pacestar Software, such as a retail outlet or reseller, or if you are unsure where you purchased the license, please contact us for further instructions. Are you entitled to a free upgrade? If not, continue to the next step. When you purchase a license or an upgrade, you are entitled to free upgrades for at least a year from the date of purchase, then up to but not including the next "major" release (5.0, 6.0, etc.). If you think you are eligible for a free upgrade, simply click on the link below to request an authorization. We will send you an upgrade authorization within 24 hours if our records confirm your eligibility. This is not an automated system so please do not make the request unless you genuinely believe you may be eligible. You qualify to upgrade to the latest version at a discounted price. Click on the link below to order the upgrade. You will receive a new password by e-mail with instructions to download and install the new version.